Machine safety has become an increasingly important priority over the past 20 years for end users. This has ethical as well as economical reasons: every workplace accident causes machine downtimes and costs. Therefore, standard-compliant machine safety is a significant success factor for OEMs in every market. The trend toward increased machine safety has significant effects for OEMs. Starting in the EU, the number of standards and norms has increased exponentially since the 1990s. Also, regional and national safety standards now apply more frequently in addition to international standards. OEMs with an international focus must implement the regulations of every target market in order to be able to market their products there. Simultaneously, the content needs of state-of-the-art safety technology also has increased significantly. A complex system analysis of automation for the evaluation of machine safety has become the norm in nearly all markets. Control systems and software are central components in overlapping technologies. Bosch Rexroth, a worldwide leading manufacturer of drive and control technologies, established a network of safety specialists within its global organization. They capture the requirements of the respective market and develop regionally adapted solutions. Rexroth makes this expertise available to OEMs and end users and therefore improves their chance for success on global markets. “Specifically smaller and mid-sized manufacturers like to take advantage of our services for machine safety,” says Michael Jochem, who is responsible for coordinating machine safety activities at Bosch Rexroth on an international level. This ranges from ready-to-install modules to complete engineering of safety solutions which includes extensive documentation. “For many years we have noted the increase of machine safety regulations globally,” says Michael Jochem. “We see very different approaches to this in significant markets, some of which grew historically, but often also have industrial-political motivations.” This rule applies: the more international standards that apply in a market, the more open it is with greater machinery engineering export opportunities. The EU, China, and even Turkey have significantly reduced their share of national regulations over the past years. With the Machinery Directive 2006/42/EC, the European Union not only harmonized a plethora of national standards, it also introduced a new system that is a global role model. Since the end of 2009, only machines that comply with the Machinery Directive may be marketed within the EU. OEMs are responsible for this. They must document the functional safety of every machine and must include the documentation in the delivery. “The Machinery Directive harmonized the system across all industries and applications,” says Wouter Leusden, Safety Specialist at Bosch Rexroth in BENELUX. 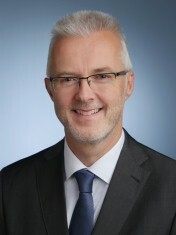 “Whether machine tools, packaging lines, or movable bridges: design engineers must always perform a risk assessment, define the required performance level for functional safety, and offer reliable realization with the respective system solutions.” In the handbook “10 Steps to Performance Level,” Bosch Rexroth has divided this complex process into practical work packages. “Engineers often have difficulties understanding the current standards,” explains Wouter Leusden. “Our handbook was written by experts for experts, and customers frequently confirm that the handbook has helped them.” The brochure “10 Steps to Performance Level,” which can be downloaded free of charge at www.boschrexroth.com/safety, offers a first overview of the handbook. “Approximately 50 percent of safety-relevant standards and norms are globally valid IEC or ISO standards,” estimates Frederic Harmand, coordinating the Safety Specialists in France. “The other half comes from European institutions, for example the European Committee for Standardization (CEN) and the European Committee for Electro-Technical Standardization.“ In the process, the status of the European environment for standards has stabilized over the past five years. “This offers reliable framework conditions for OEMs,” says Frederic Harmand. Today, 70 percent of relevant regulations in the US already correspond to international or European standards. “Our customers in the US can profit from our extensive experience with European requirements,” explains Gary Thrall. But there are still standards specific to America. “We also support European OEMs in complying with these American regulations in order to be on the safe side,” says Angela Patterson. International standards simplify market access for all OEMs globally, while a high proportion of international standards favors the export opportunities of domestic OEMs. The basic concept of every machine or facility already takes these standards into consideration. This significantly reduces the adaptation requirement for other markets. Specifically, export-oriented nations like China or Turkey take this route. “The topic of machine safety becomes more and more important for Chinese OEMs and they have quickly adjusted to international standards,” says Guihua Ying, Safety Specialist at Bosch Rexroth in China. “While many manufacturers initially focused on Asian and African markets, they now focus on the European and American markets that are highly regulated by standards.” This is where Chinese safety specialists can support compliance with additional, regional regulations. Other major markets like India are only starting this journey and are currently developing guidelines for machine safety. Brazil, as one of the BRICS states, has made great progress in terms of industrialization and is one of the most significant markets for machinery construction. “The number of standards for machine safety has doubled in the past five years, but Brazil focuses chiefly on international and European standards,” says Fernando Lopes. The Safety Specialist at Bosch Rexroth in Brazil points out that the standard NR12, which was revised in 2010, is closely related to the European Machinery Directive. Yet there is one important difference, emphasizes his colleague Makoto Yokoyama: “NR12 also applies to machines and facilities that are already installed. Old facilities can be re-sold only if they comply with NR12.” Bosch Rexroth therefore retrofitted already more than 400 installed presses based on the new safety requirements.